felt ornamental american robin birds set of 3. christmas and holiday decoration ideas collection. these beautiful american robin birds will provide a beautiful accent in your holiday decor. they are even more attractive than our images can capture and they are generously sized as well; the largest robin bird stands 7" tall. 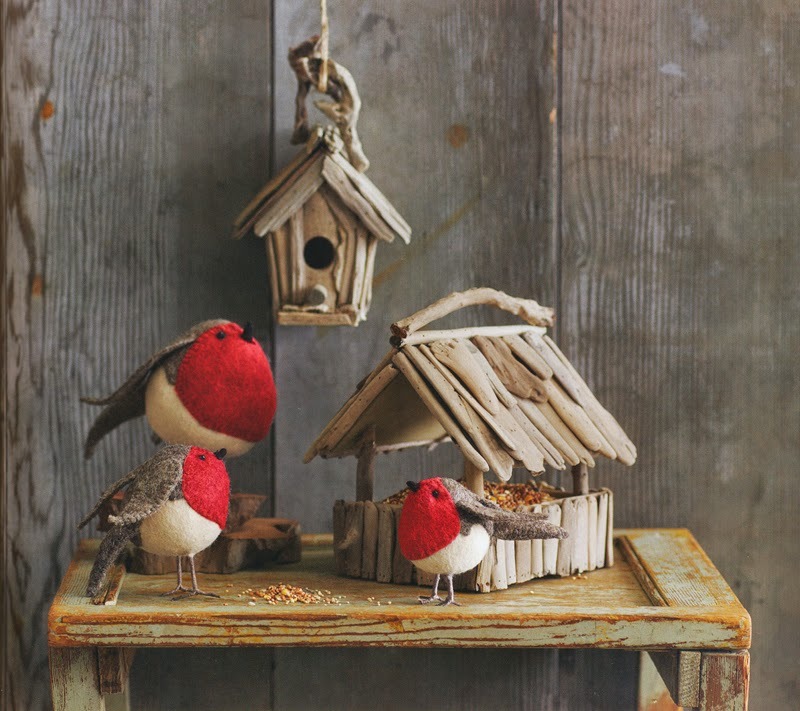 our cheerful hand-crafted american robins arrive ready to be perched atop a mantel or table. their inquisitive bead eyes gleam and their wool wings seem ready to flutter. mama robin and her two chicks stand on wrapped steel wire legs. these felt robins will be one of your favorite holiday decor items for many years to come.